Right before mini me’s birthday, I did a post about my search for the perfect toddler stroller. Well, I got it! 2. 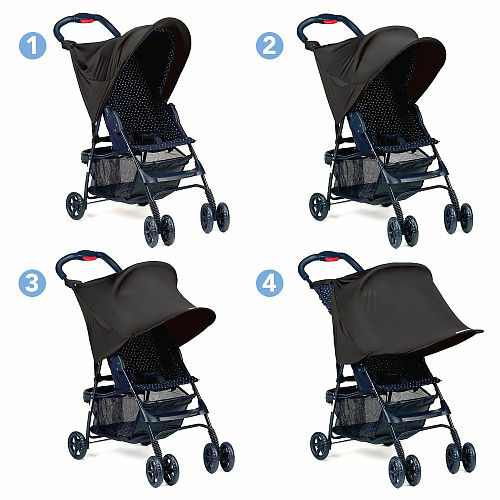 An automatic latch to keep the stroller closed. -I never close the stroller. Mini me has her own parking space for her stroller. 1. It is light. 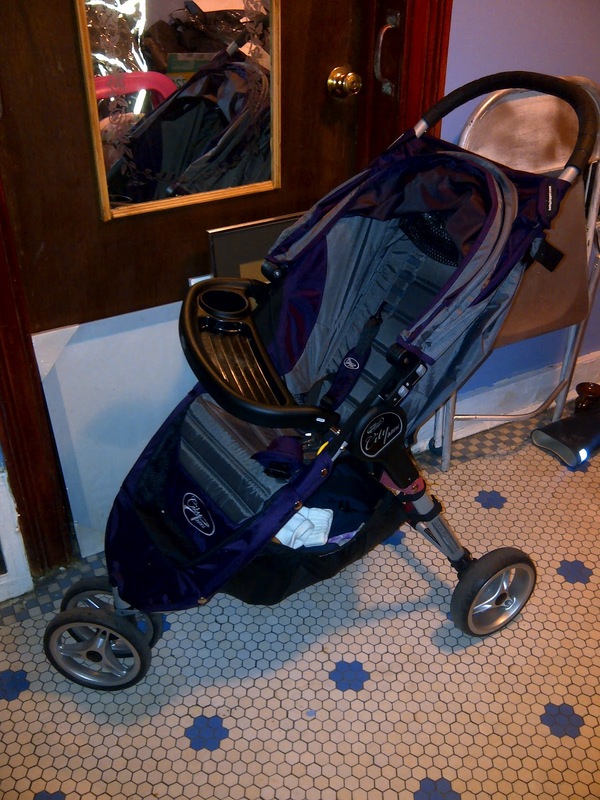 Compared to the Graco stroller I had, it is like a feather. 2. It is easy to manuever and handles bumps well. I can use one hand to push it without a problem. 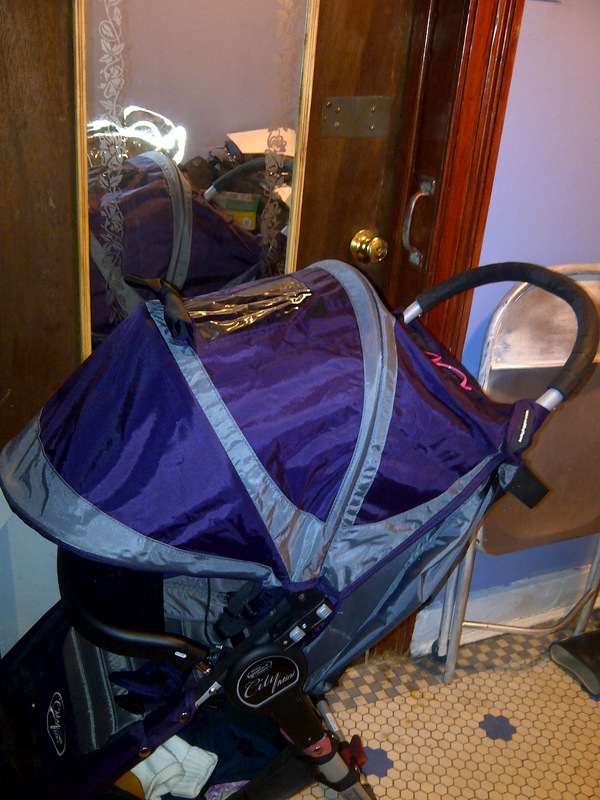 The Graco stroller I had, I could feel every single bump when I pushed it. 3. It is super easy to fold. Not that I fold it up much, but, the times I have folded it up, it took literally two seconds to fold it. 4. The canopy is huge. I mean HUGE. It comes down hitting the top of the child tray. It also comes down in three sections to afford you the opportunity to adjust shade-levels. Even with the shade down I can still see the little one via the two windows, which I can keep open or closed. 5. The seat lies flat enough for her to fall asleep comfortably. It’s easy to adjust as well. There are a lot of add-ons (for purchase . :womp womp:.) We bought the child tray. I still want to get the parent console. 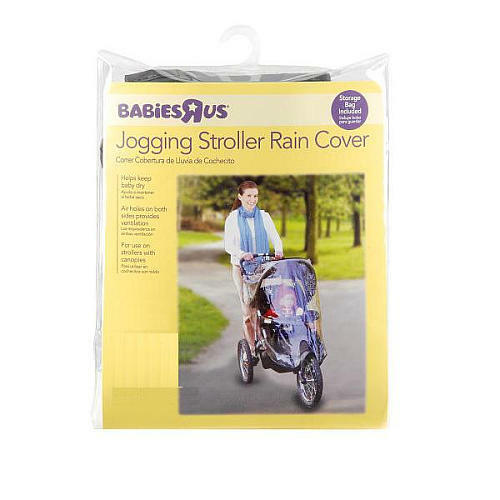 We also ended up purchasing a rain cover for the jogger. We opted for the Babies R Us brand ($14.99). Why would I spend $40 on a plastic rain cover? I also want to get a UV Protective Sunshade. Brown babies need to protect themselves from UV rays too!